Kids birthday parties have gotten more and more extravagant over the past couple of years, but perhaps those days are over, and likely that’s for the best. Times are tough now, with gasoline means over $4 and a visit to the supermarket requiring a trip to the bank before you go. Most of us need to watch our costs, and your kids birthday party is no exception. However, it’s still possible to have a marvellous celebration of this childhood milestone on a tightened budget. Kids at least through the preteen years of 11 and 12 aren’t impressed by what you invest; they just want to have a great time. 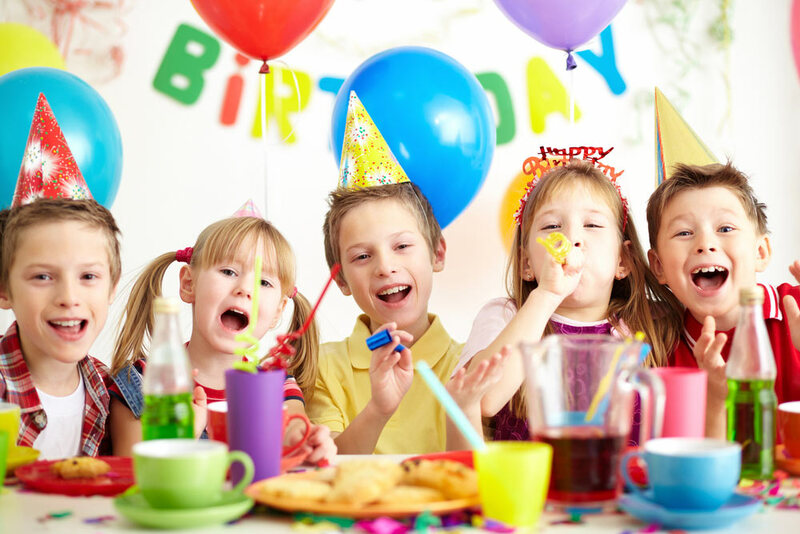 All of the components of a successful kids birthday party offer opportunities for savings: the invitations, the decorations, the paper products, the food, the activities, the party favours. However, the single most important factor in limiting your party expense without sacrificing the fun is your choice of venue. Have your party at home, the old fashioned way. Choose activities and games that keep the kids engaged and focused, and they will do what you’ve planned rather than ransack your home. Limit the mess they might make to controllable substances- paper, craft supplies which could be easily vacuumed up. Keep the numbers down to a level which you can contain to only a couple of rooms that will then have to be cleaned. Use one of the numerous free clip art sources you may find on the web, or your Microsoft Word online clip art. Use a kid-friendly font for your text along with some bright text colours for visual appeal. Do the same in your invitation envelope to make it distinct and special. It doesn’t have to be a professional job; it needs to get the children excited about your child’s upcoming birthday party. Party Decorations need to set the mood for fun, not cost a fortune. They’ll look at your decorations for about 30 seconds, and move on to the fun, so they can easily be limited to your entrance way. Use bunches of colourful balloons – blow them up yourself instead of paying for helium filled and tack them up with paint-friendly tack tape. Make tissue paper flowers with your birthday girl to get a nice together activity and use those for decorations. Decorate the birthday child’s chair for the cake and ice cream with curled ribbon to produce a birthday throne. Place confetti on the table, or use flowers from the garden, colourful fall leaves or sprigs from evergreens. Character plates and napkins cost about twice as much as plain coloured ones. Mix your colours for a festive effect. Make fans from your brightly coloured napkins or roll each napkin and tie with multi coloured curly ribbon. Put a large, bright tissue paper flower at each girls’ place. Print out each guests name in a fancy font and bright colours, add a few cute clip art or a pretty edge, cut them to size and glue to every guest’s paper cup. Use your own silverware rather than buying throw away plastic. The kids don’t come to your party to consume. They come to have a good time, and unless you have scheduled your party at a mealtime, they don’t need a good deal of food. Nor do they require a good deal of sugar to increase their excitement level. Keep it simple and inexpensive: a bowl of pretzel sticks, a huge bowl of red and green apples, water or soda. And avoid the huge cost of a bakery cake. Your next best choice is to use a supermarket store-bought cake for about half the cost of a bakery cake. If you do-it-yourself, your cake decorations can be as elaborate or simple as your skill and time permits. Using the decorating tubes in the grocery store, everyone can write the birthday child’s name on the cake and add a couple floral icing dabs to create a fairly birthday cake. Skip the goody bags. Even with just a small candy and a cheap toy, these will cost you at least $2 a piece, which totals $20 for a small party of 10. Choose 1 party action where they make something that they can take home in a bomboniere box. The centrepiece of any kids birthday party is the actions- the birthday party games. You may find on an overwhelming variety of game ideas on the web, many of which can be tweaked to follow on your party’s theme. This is the place to spend your time and brainpower because this is the fun that will determine the success of your birthday celebration. Use the money you saved on invitations, food, goody bags and decorations hire someone to come to your home to entertain, it’s fun for both the kids and the parents. It’s the children having fun as a group, the birthday child’s day in the sun, that make your child’s birthday party special. It’s not the paper plates or the goody bags. So it’s easy to control your party expenses when you bear this in mind. We are a digital marketing agency that specialises in hospitality marketing and food PR across Melbourne, Adelaide, Sydney, Brisbane and Perth. We understand marketing for restaurants and run 100+ hospitality social media accounts. We are experts in Facebook, Instagram & Google. Photography, Videography, Instagram Management, Facebook Marketing, Search Engine Optimisation, Google Advertising, Web Design. Disclaimer: Results may vary from client to client.